Raise the bar with the Venum Challenger 3.0 BJJ Gi, the new and improved version of our Challenger BJJ Gi. This Venum Gi jacket features 450 gsm ripstop resistant fabric and the Pearl Weave cotton ensures optimum moisture management and offers great comfort. EVA foam collar provides a better defense against opponent grips and counter the attacks of your opponent. The pants are 100% cotton. 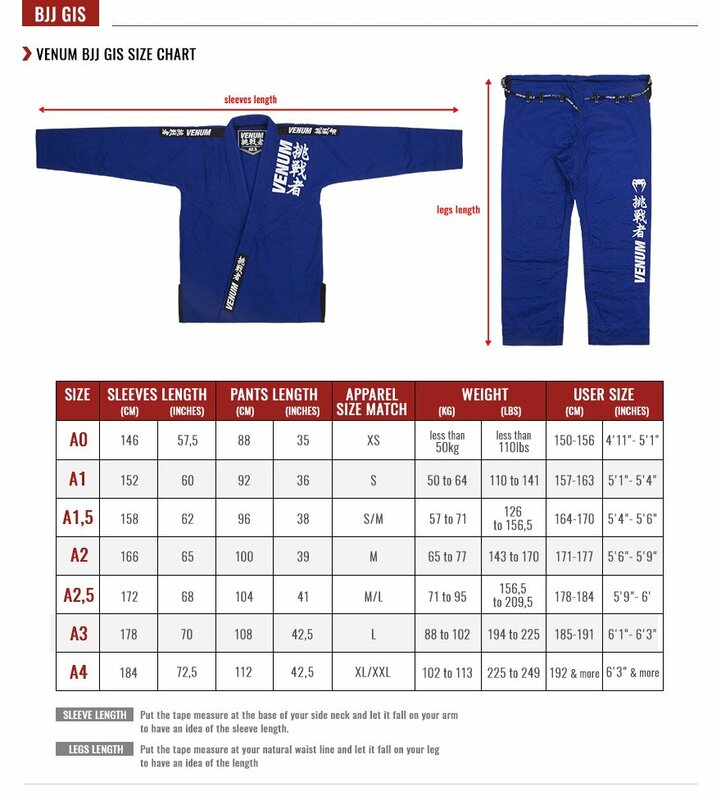 Challenger 3.0 BJJ Kimono has strategic reinforcements to withstand stress areas. A great gi to succeed in all of your battles!